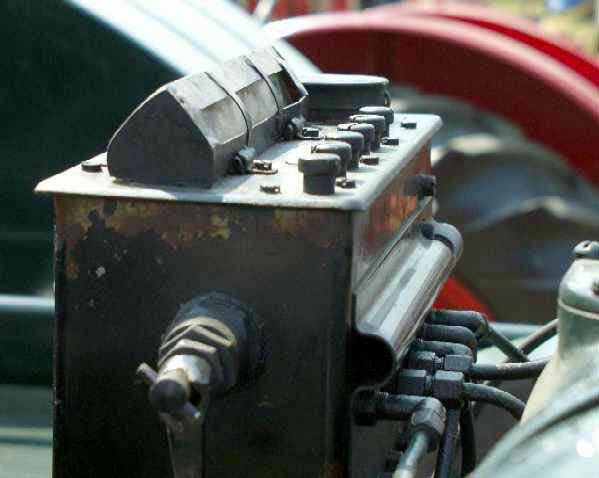 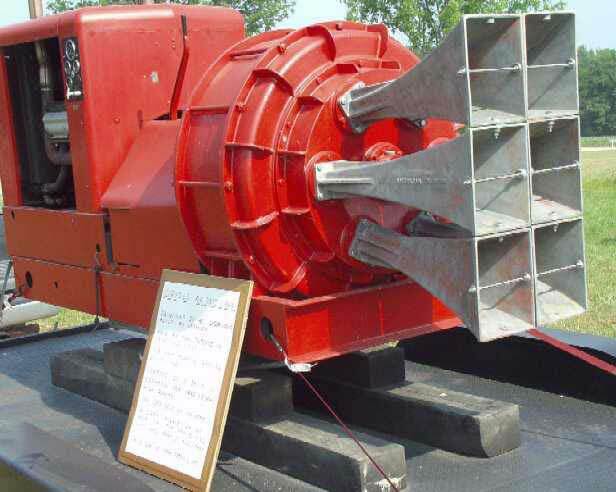 Cold War era air raid siren powered by Chrysler Hemi engine. 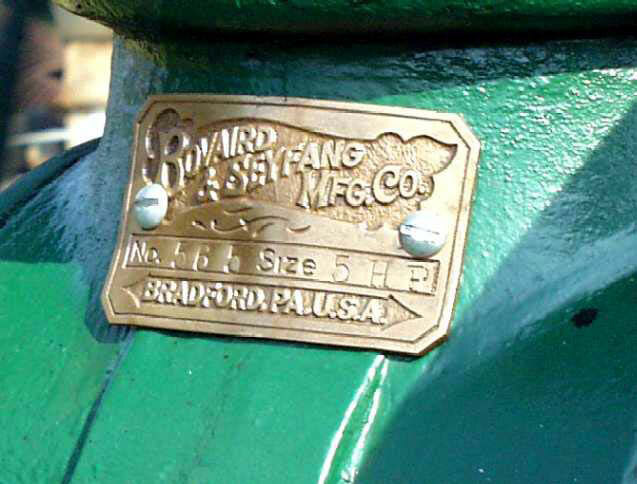 Bovaird Seyfang oil field engine. 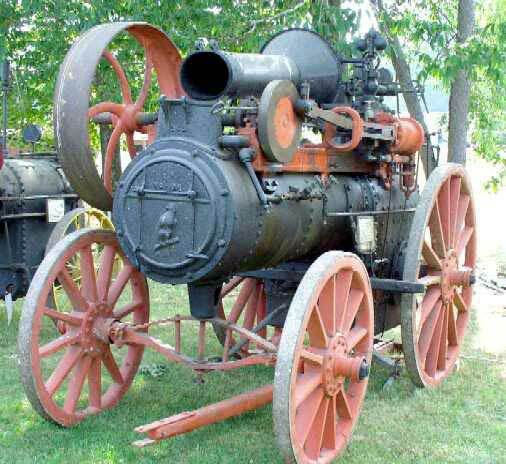 1887 Case portable engine #611 from the estate of Morgan Hill. 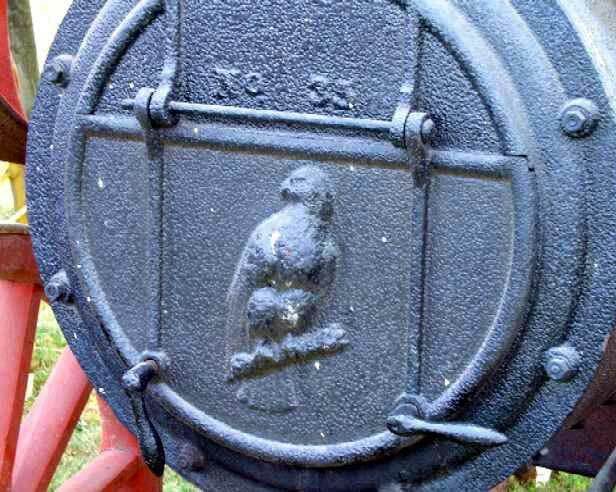 The Case's smoke box door. 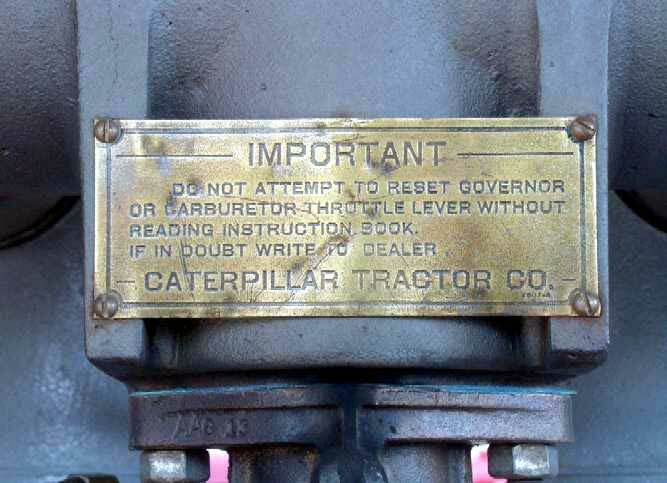 Caterpillar 60 owned by Will Wingo of Titusville, Pennsylvania. 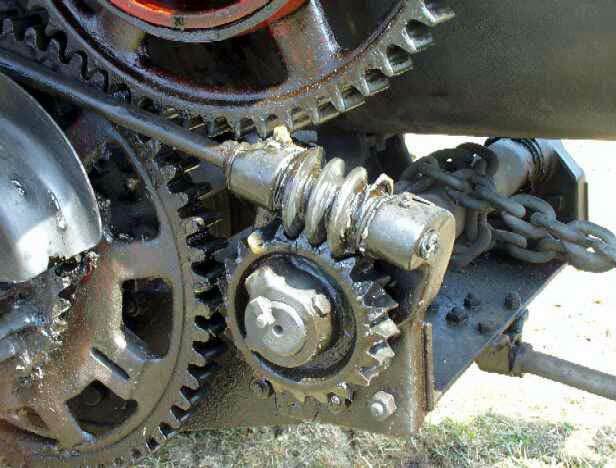 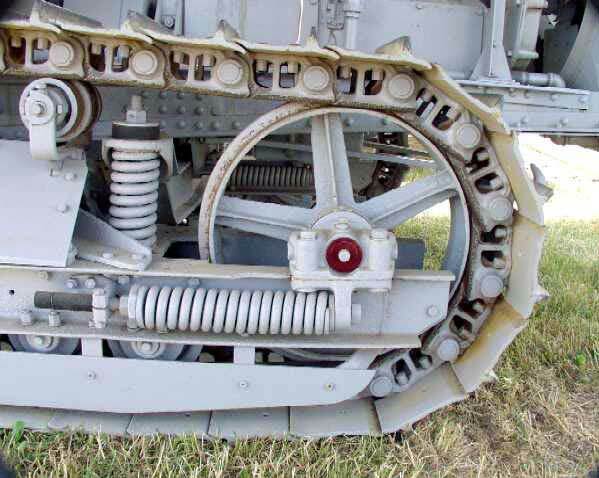 Close-up of the track and idler. 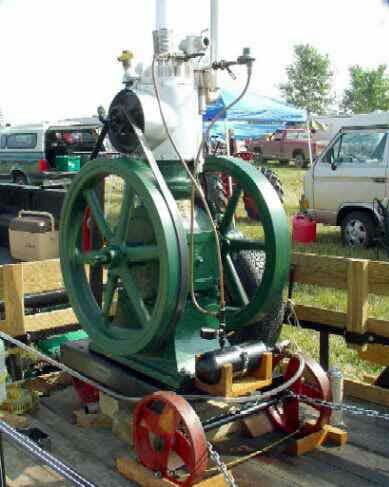 5 HP Bovaird-Seyfang gas engine. 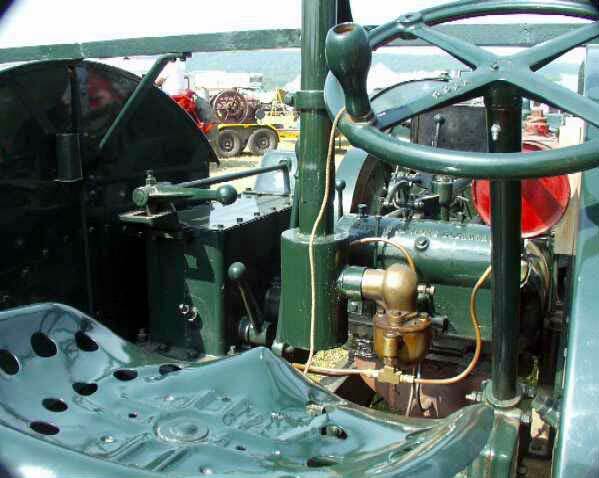 View from the seat of the Hart Parr. 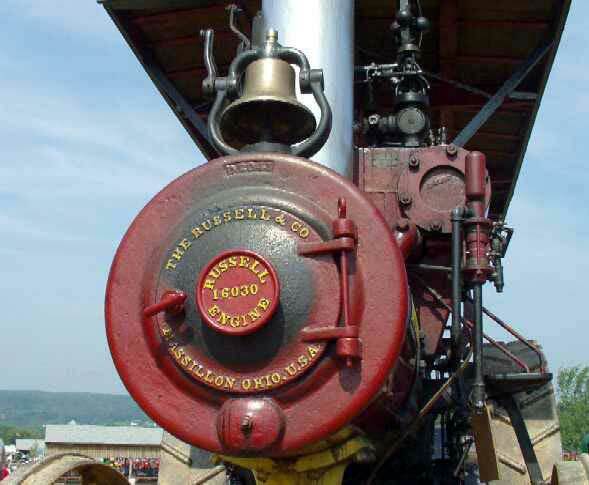 Madison-Kipp lubricator on the Hart Parr. 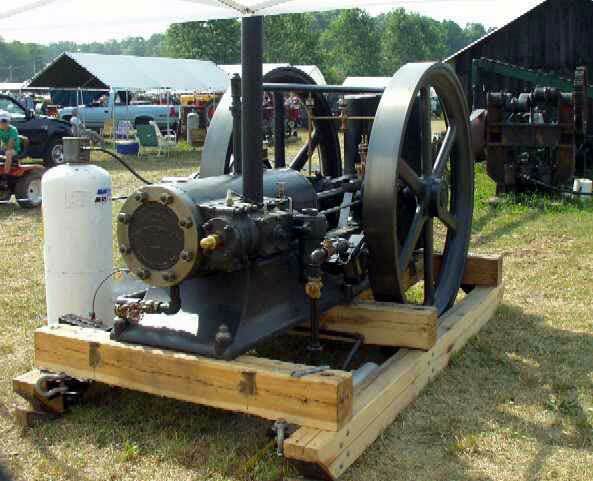 15 HP Olin oil field engine. 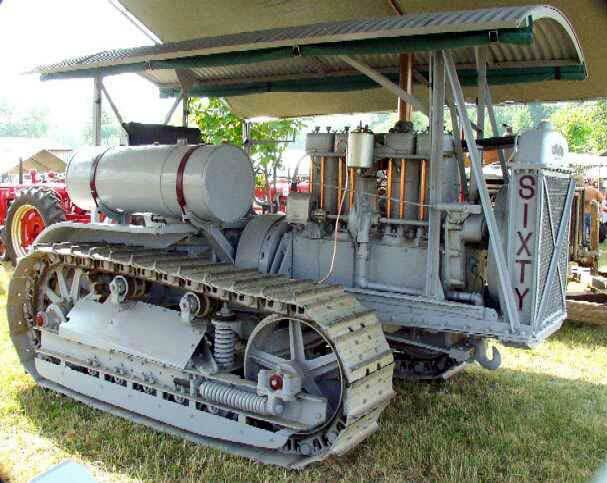 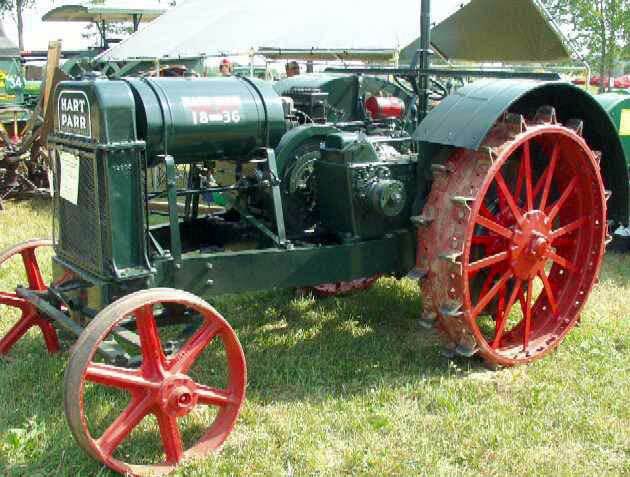 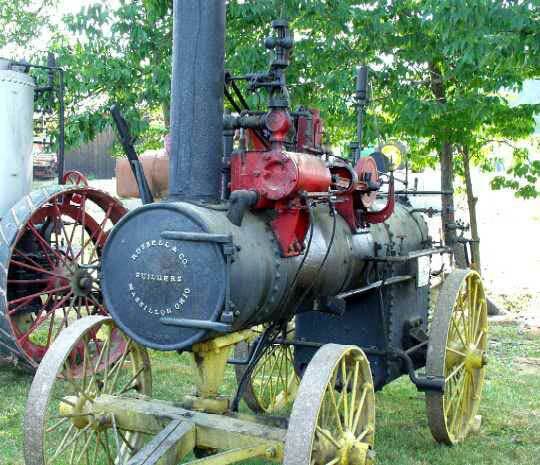 The Spring Family's 20-40 Rumely Oil Pull tractor. 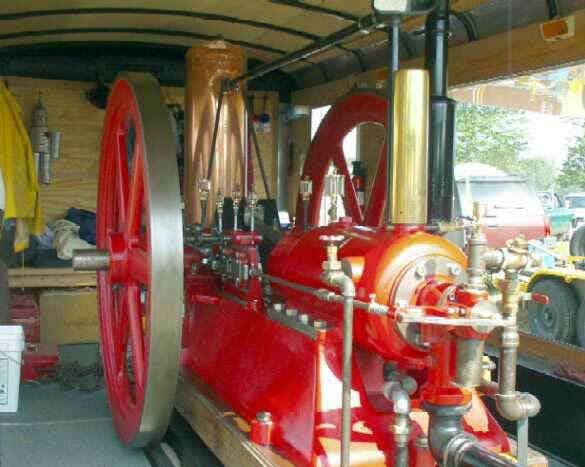 Smokebox view of George Papesch's 12 HP Russell traction engine. 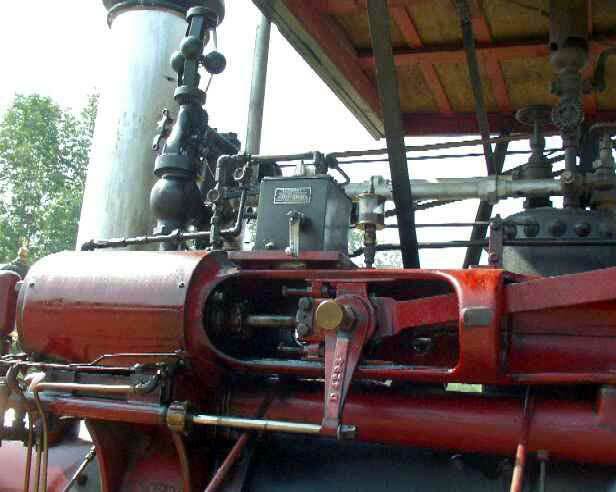 View of the cylinder and crosshead. 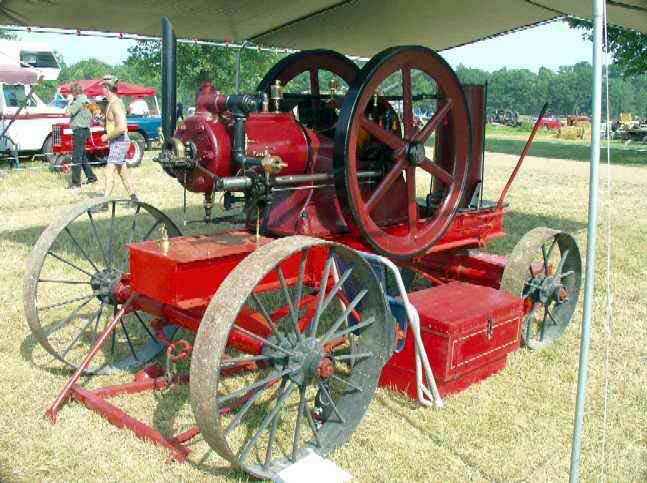 6 HP Russell portable engine belonging to the estate of Morgan Hill. 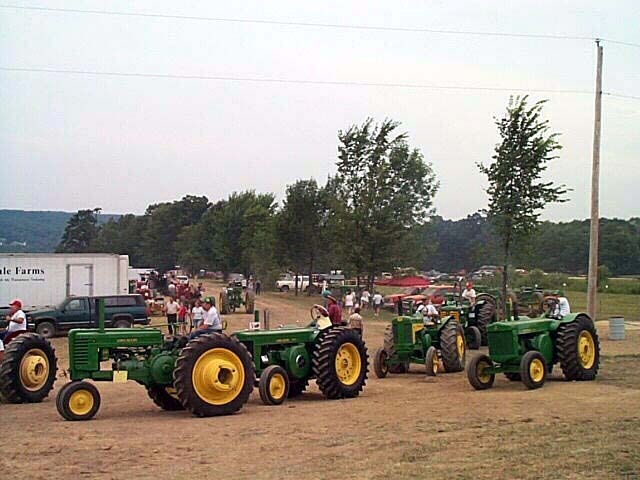 Vintage "Green" machines lining up for the tractor pull. 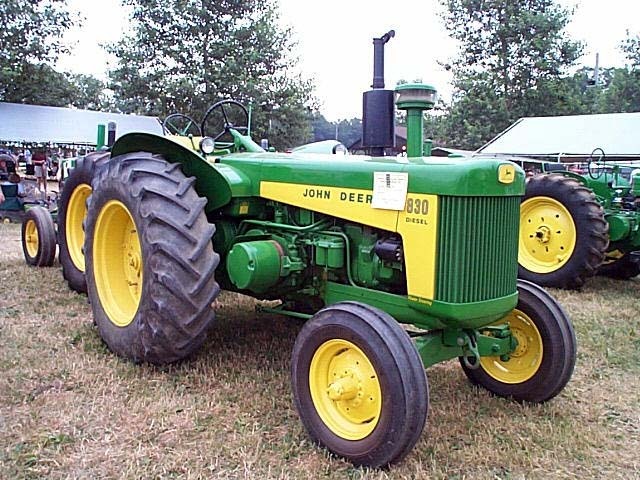 A beautiful John Deere 830 diesel. 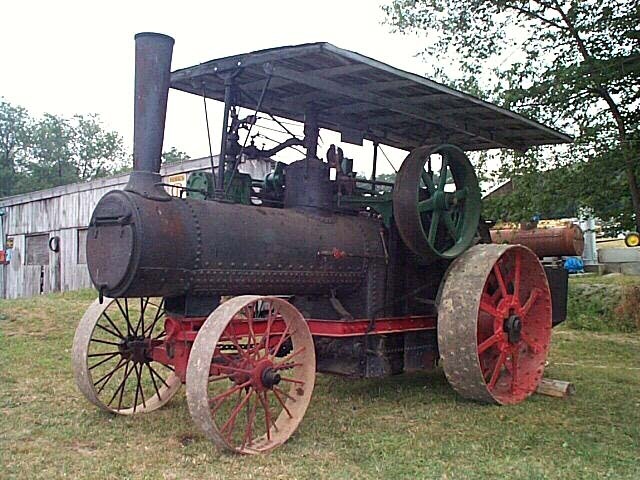 "Molly" the 15 HP Farquhar traction engine on loan to the Society from the estate of Morgan Hill. 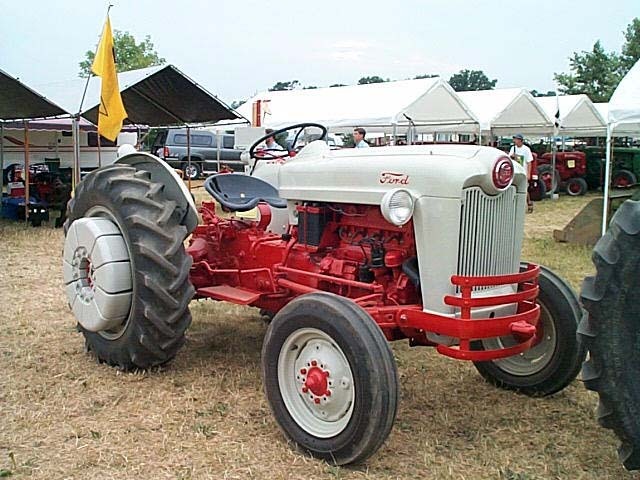 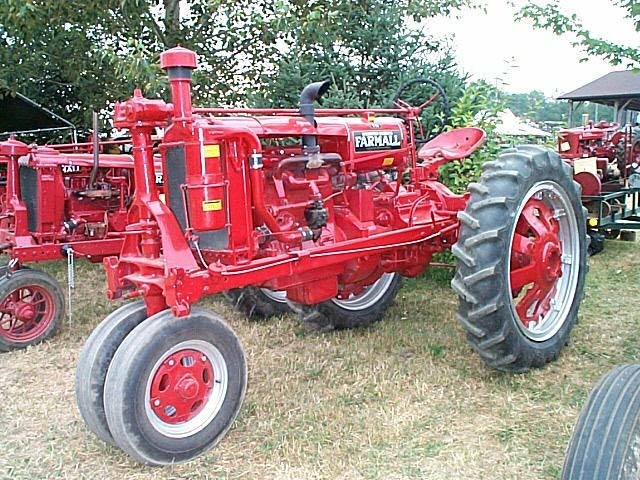 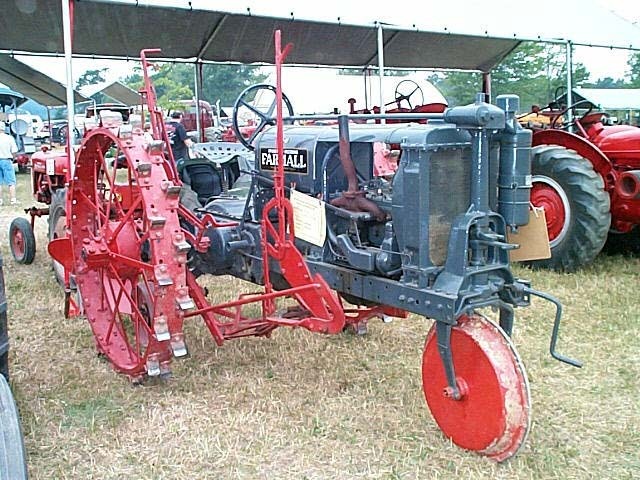 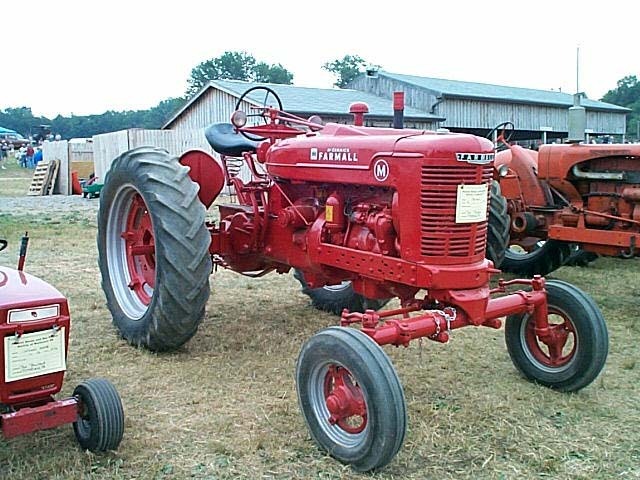 A beautiful Farmall M with wide front axle. 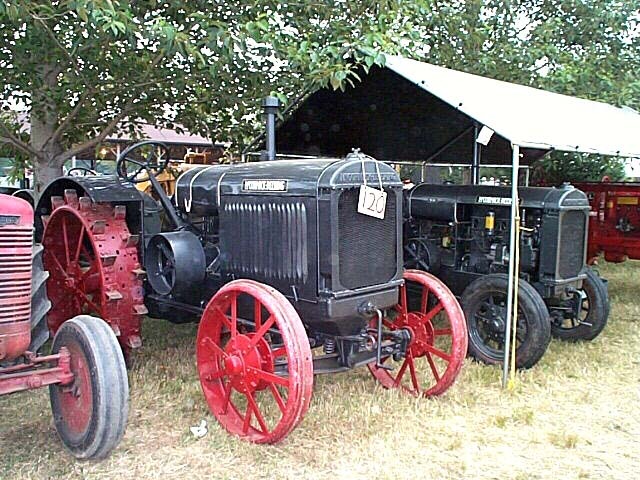 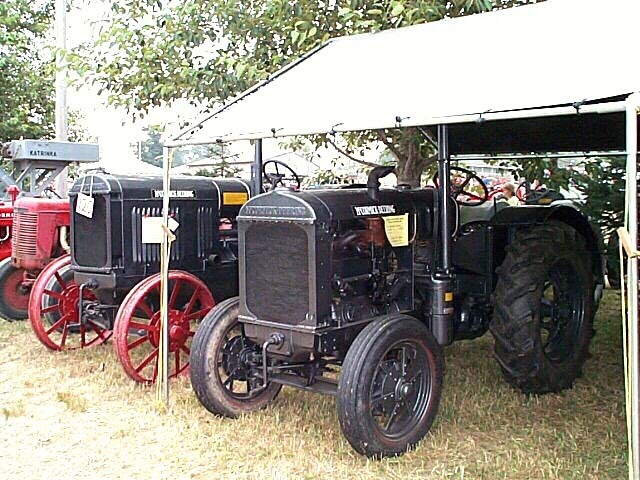 A lineup of McCormick-Deering tractors. 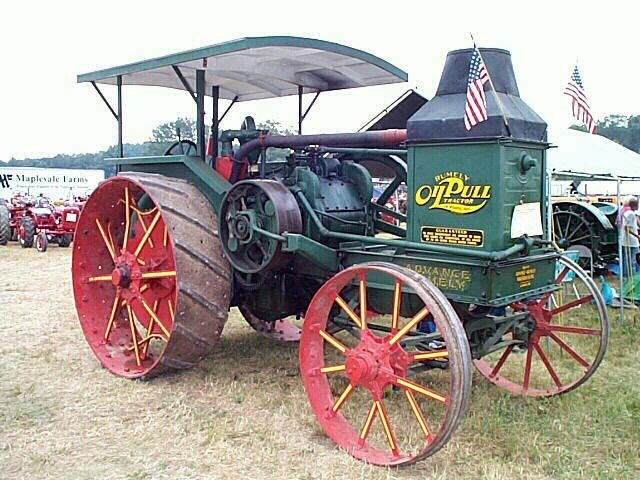 The other side of the McCormick-Deerings. 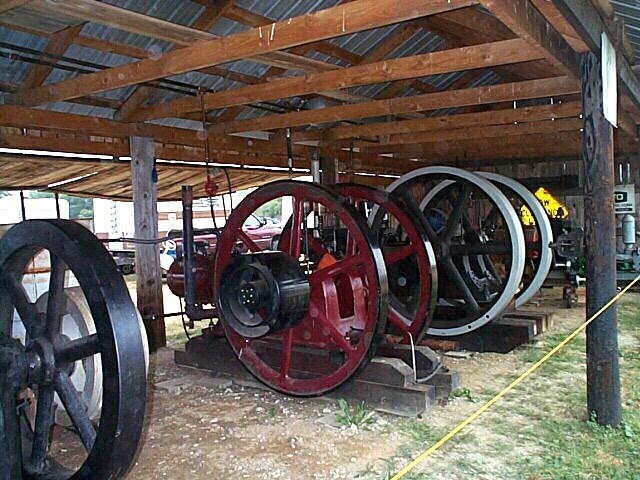 Our oil field engine display. 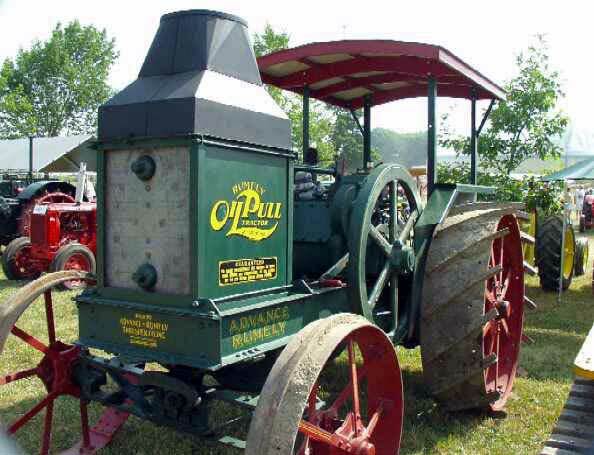 Another shot of the Spring Family's 20-40 Rumely Oil Pull tractor.